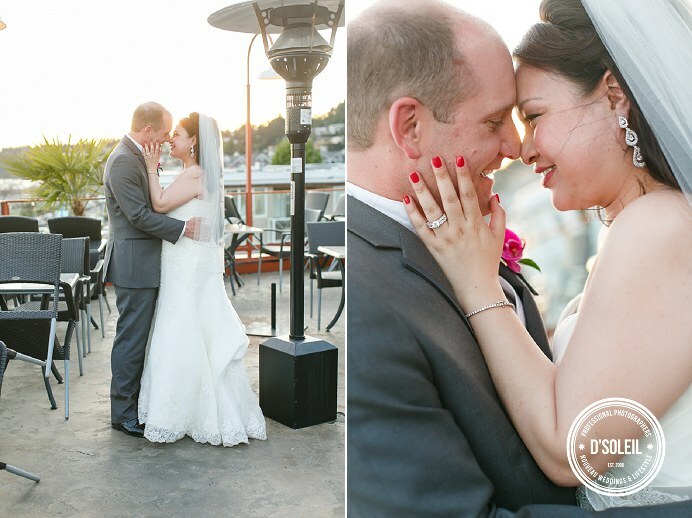 Jamie + Chad’s Boathouse Restaurant wedding in White Rock this Spring was one of those unique weddings we seldom get to do. 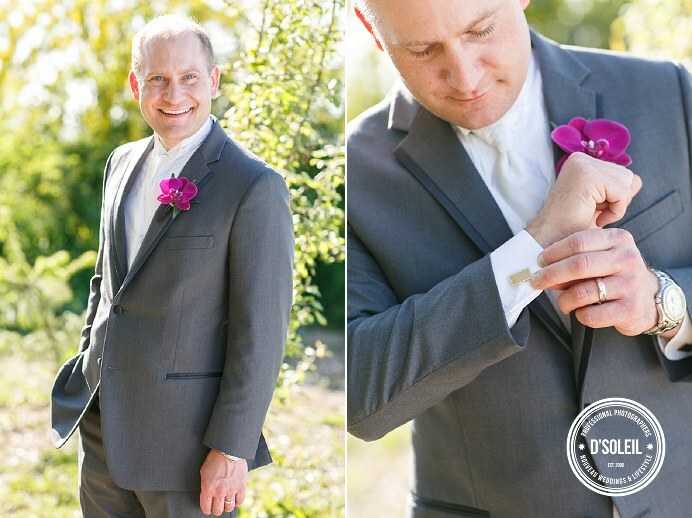 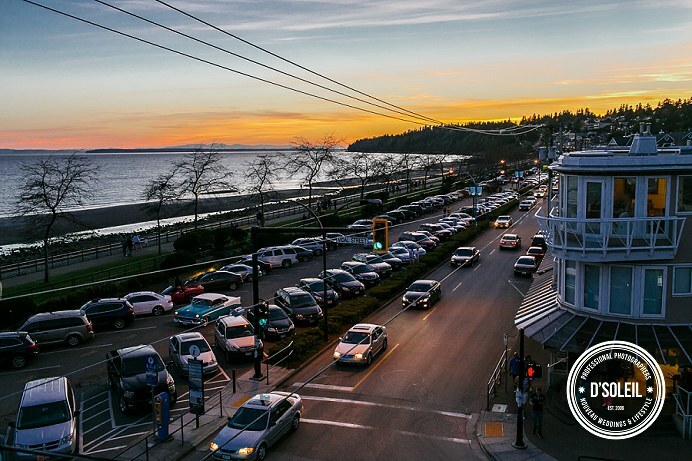 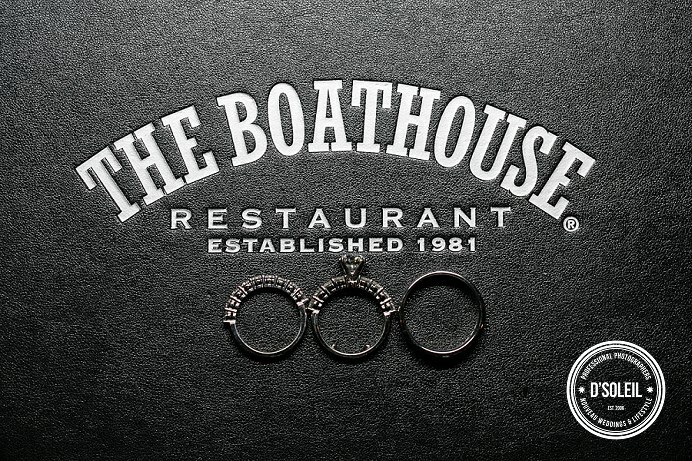 We rarely have weddings in White Rock, so it was a pleasant surprise to hear that Jamie and Chad chose the Boathouse Restaurant as their reception venue. 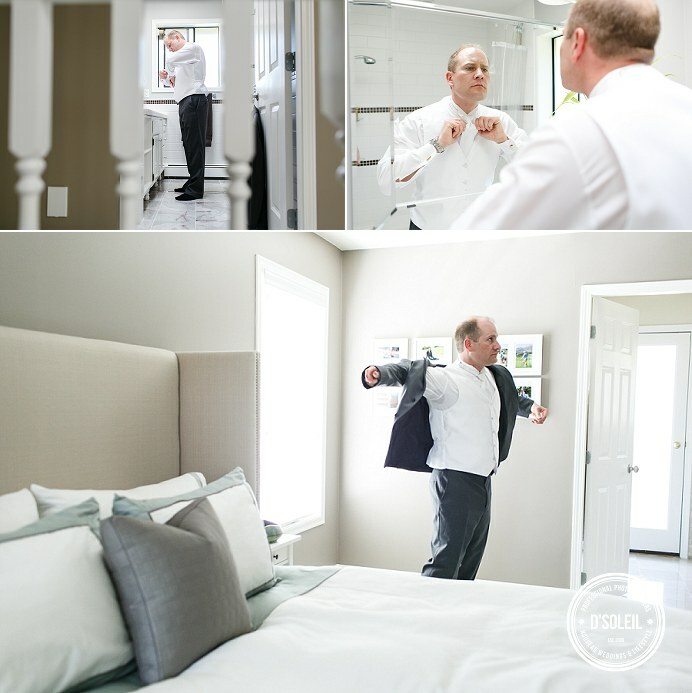 Chad started his day at home, getting ready with the guys. 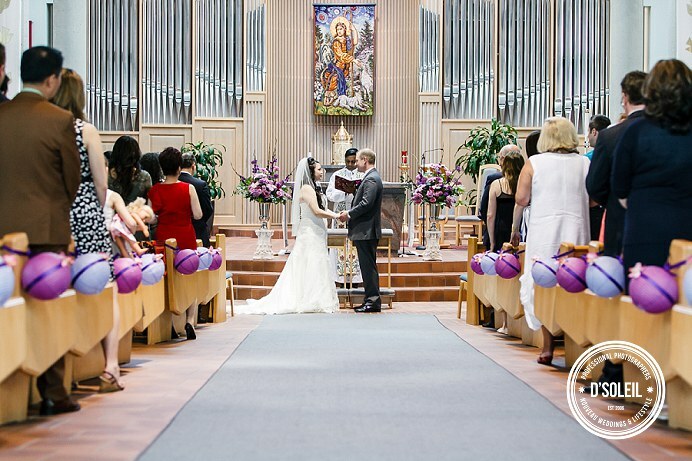 When we arrived, what impressed me most was how immaculate Jaime and Chad keep their home – it felt like a show home. 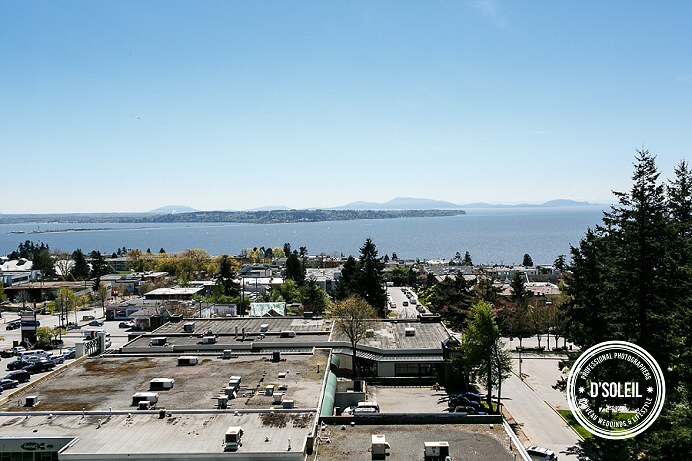 After visiting the guys, we were off to see Jamie at her parent’s home in White Rock, which provided an amazing view of the water. 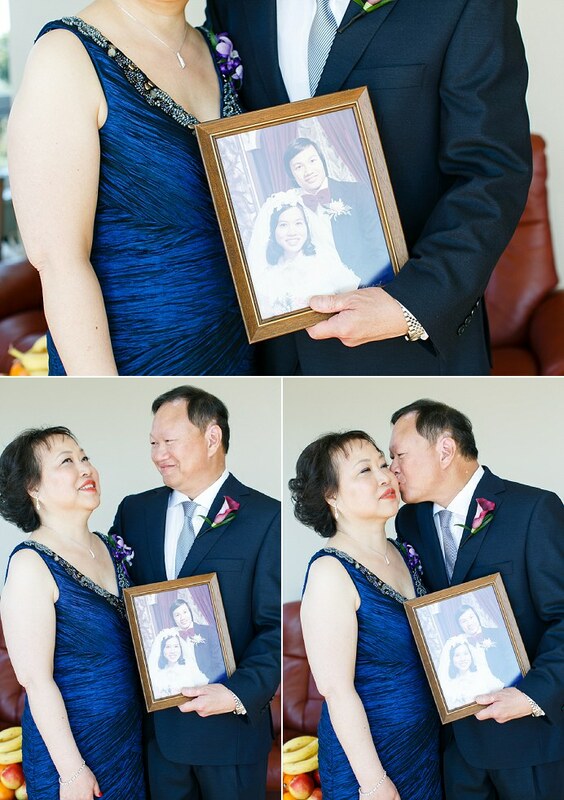 One of my favorite photos was that of Jamie’s parents holding their wedding photo and her dad humoring me a little by throwing a kiss her mom’s way. 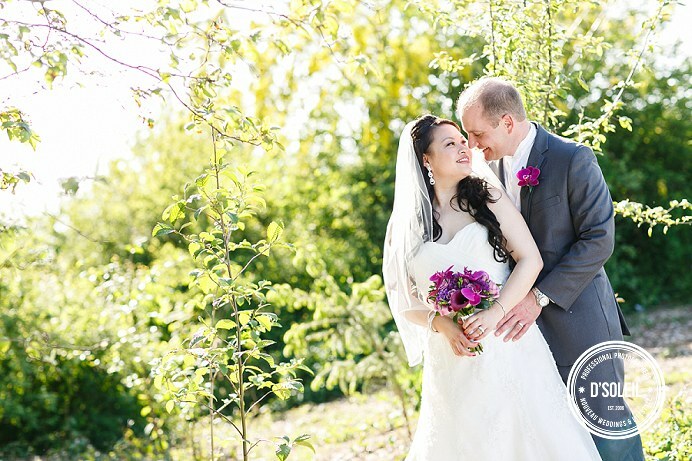 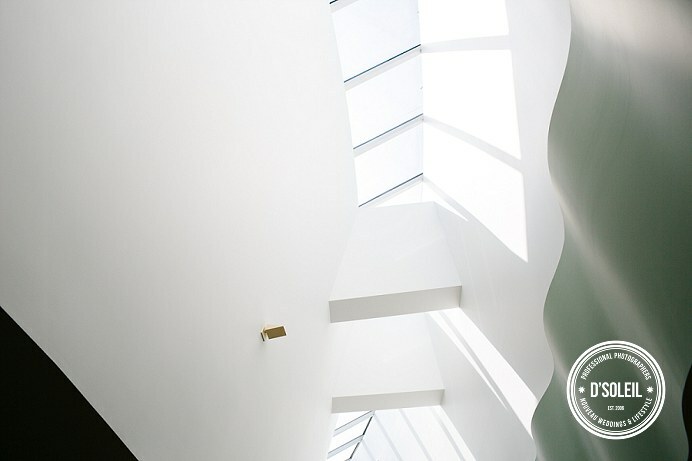 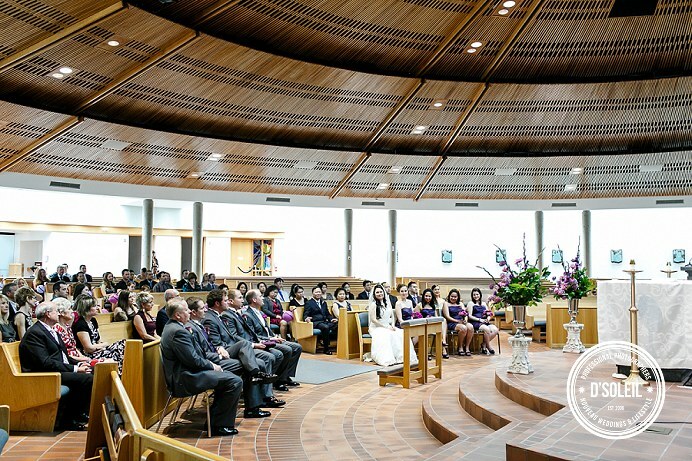 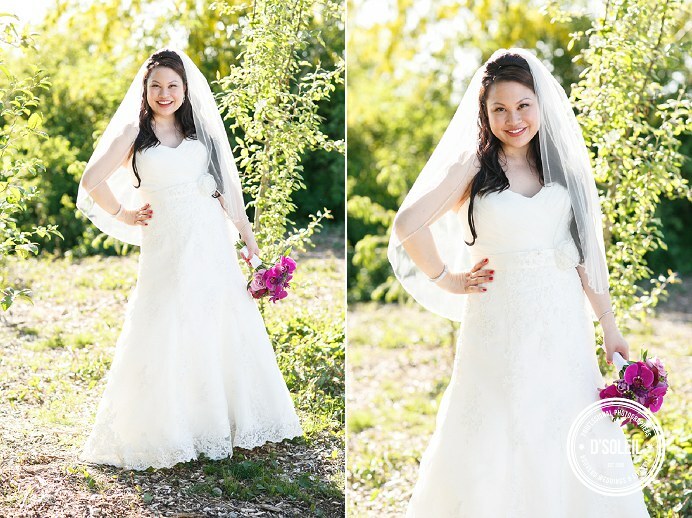 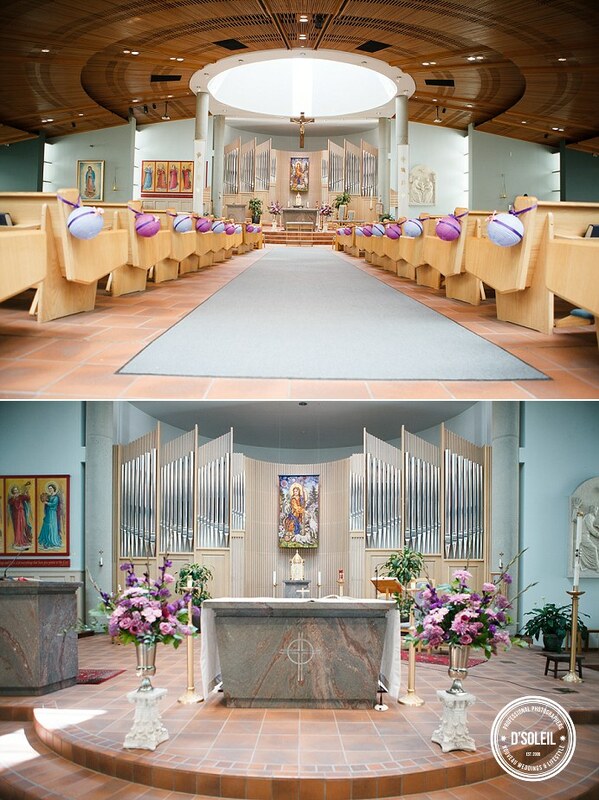 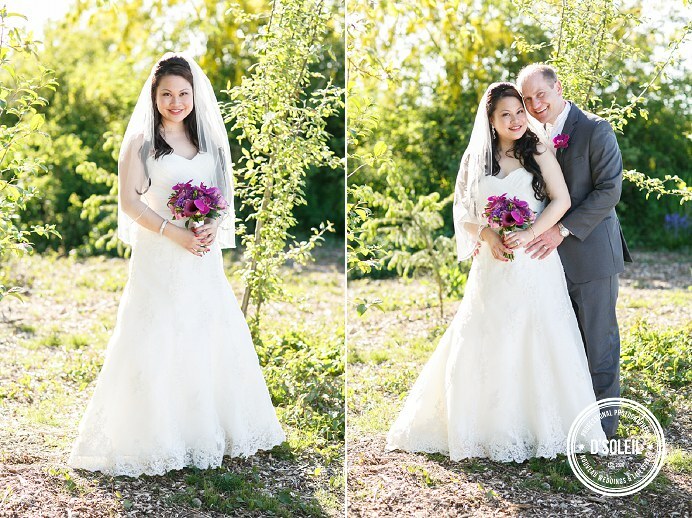 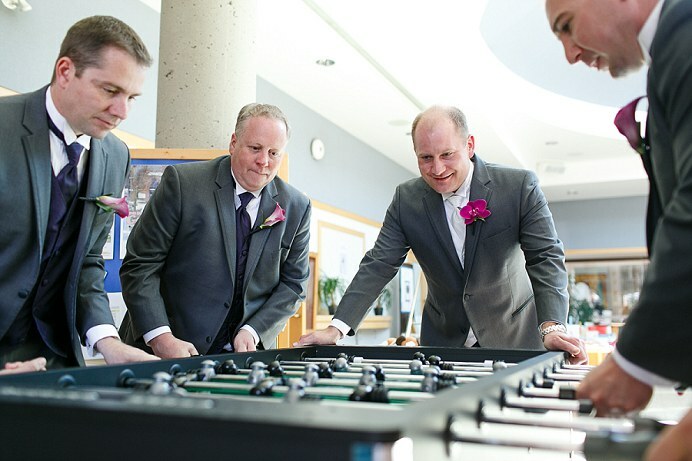 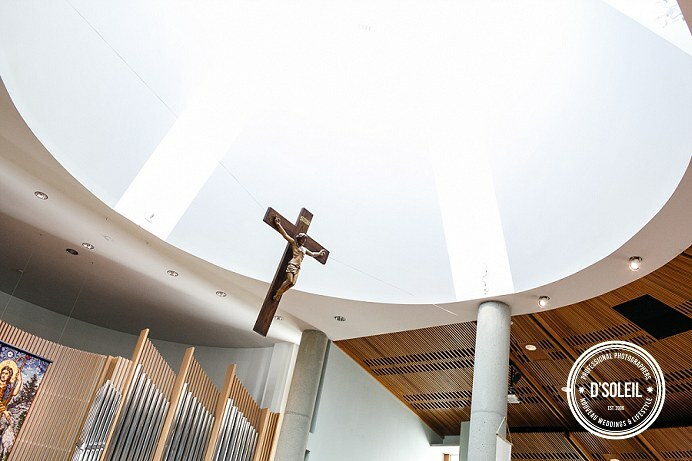 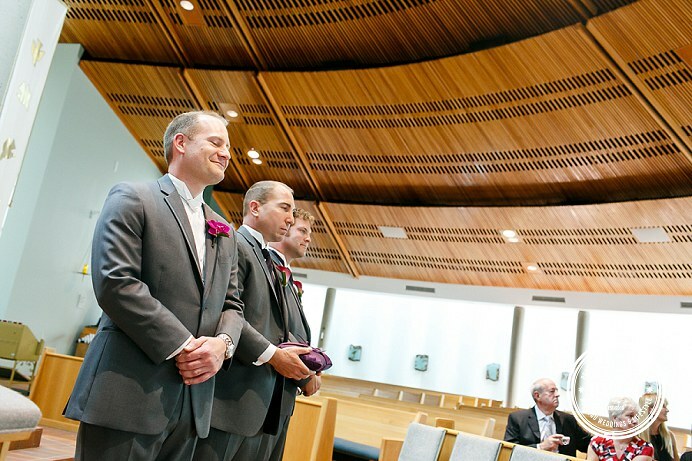 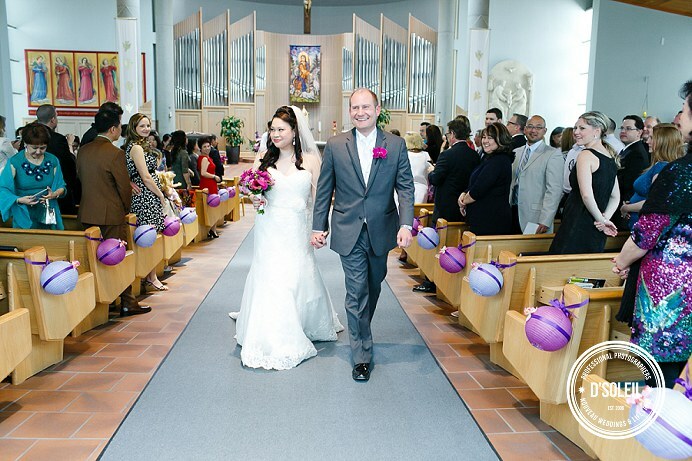 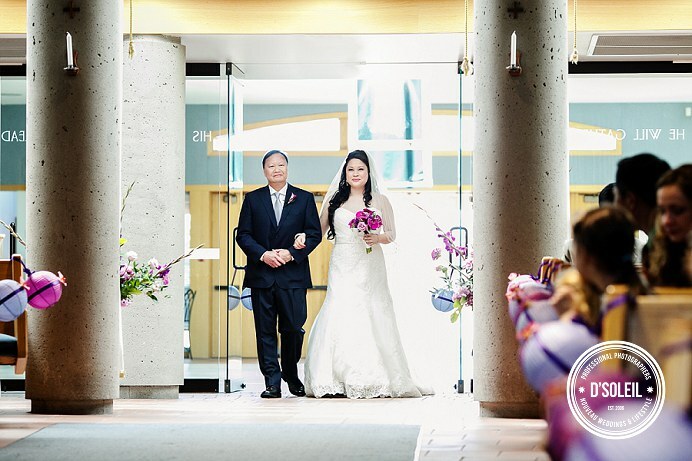 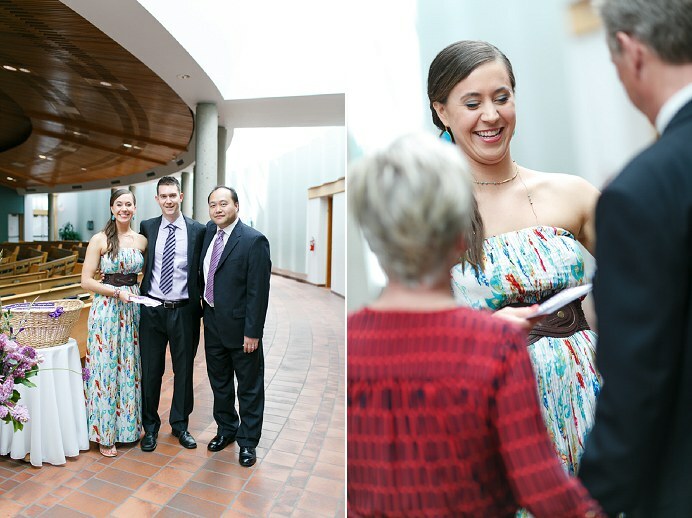 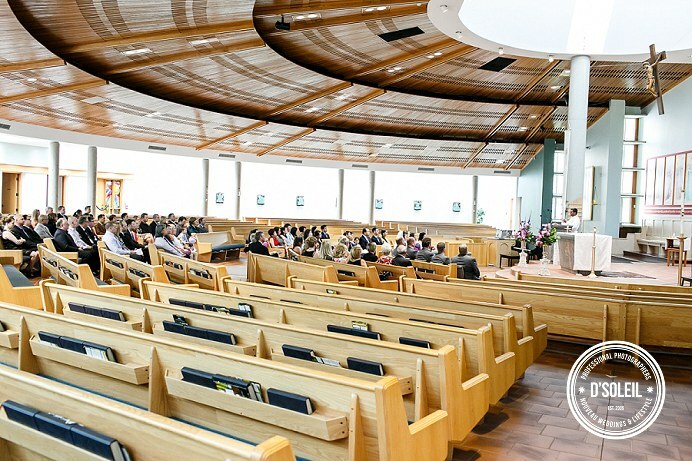 Their Catholic wedding ceremony was held at Good Shepherd parish in Surrey, which had a beautiful modern interior and tons of natural light for their ceremony photos. 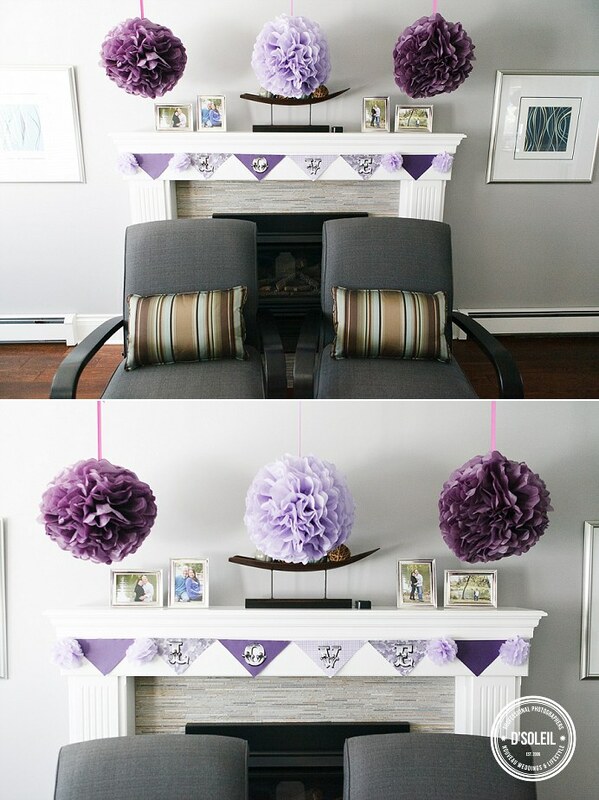 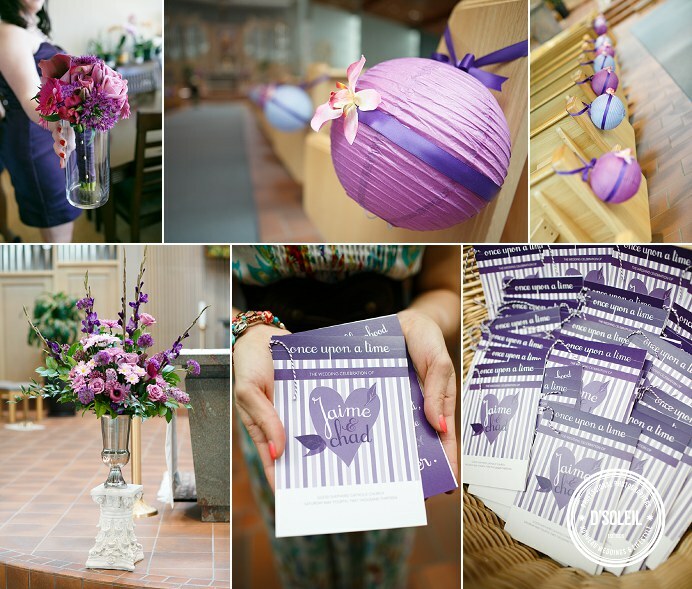 Jamie’s purple theme continued with the ceremony decor, which included flowers, beautifully designed stationery, and paper lanterns. 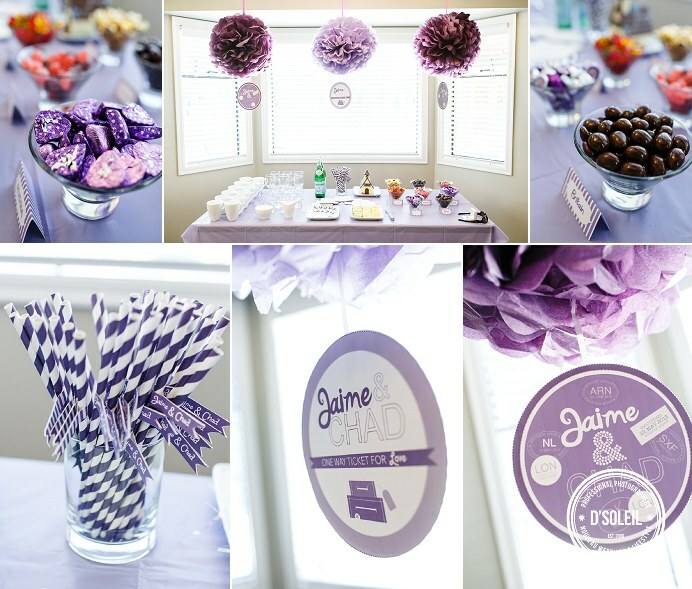 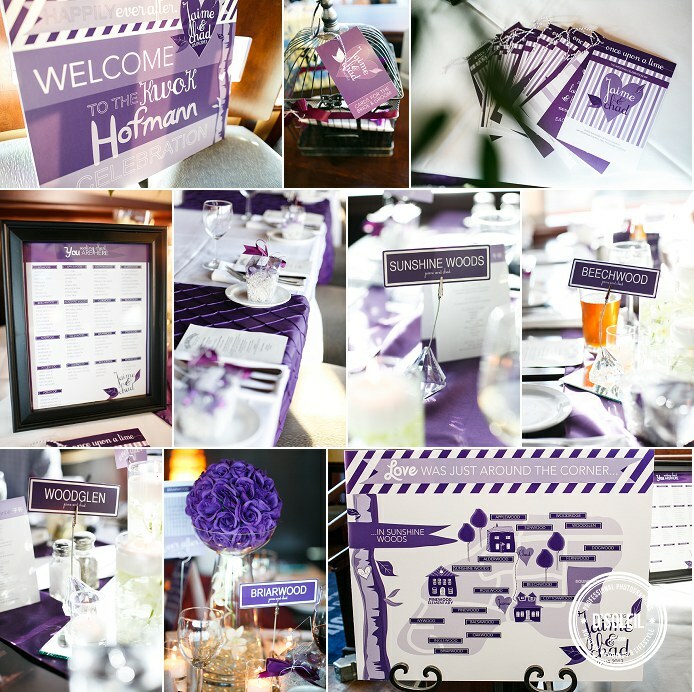 At their Boathouse Restaurant wedding reception in White Rock, just steps from the pier, Jamie and Chat decorated their venue with unique purple touches, such as custom table cards and a map to direct guests, and an assortment of graphic designs that Jamie and Chad designed themselves. 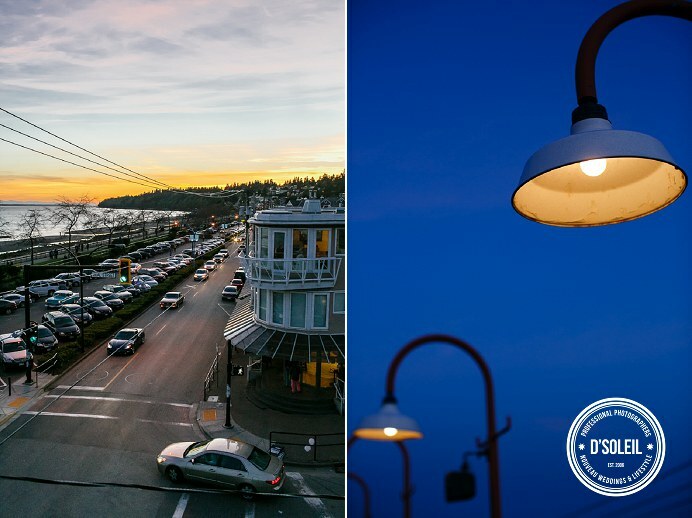 In the evening, we made our way up to the rooftop patio to take a few photos as the sun began to set.